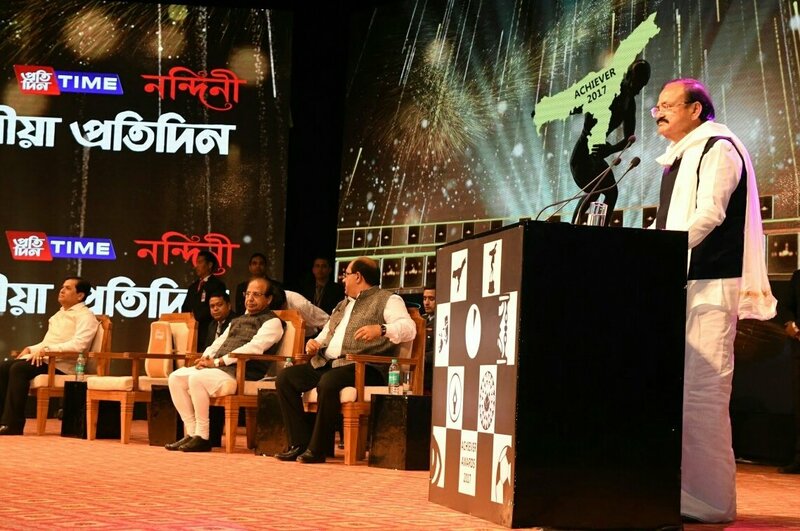 Guwahati, Dec 4: Vice President M. Venkaiah Naidu on Sunday called for a change in mindset towards differently abled persons and ensuring a life of dignity for them. He was speaking after launching the Deen Dayal Divyangjan Sahajya Achoni to coincide with the International Day of Persons with Disabilities at Sarusajai Stadium here. "Divyangjans don't want sympathy, they want empathy. They want themselves to be viewed as part of society and family and not as burden. It is our bounden and sacred duty to provide them a respectable life. There is a need for a change in mindset among public representatives as well as the people towards the differently abled," he said. He said mere legislation will not guarantee an equal and dignified life to the differently abled, adding that 2.21 per cent of India's population was physically challenged. The scheme will cover around 4.5 lakh divyangjans in the state, for which Rs 250 crore has been allocated in the state budget. In the first phase, one lakh identified beneficiaries will receive financial assistance. The Vice President presented cheques for Rs 5,000 each to seven differently abled Odisha residents as one-time assistance for medical treatment.